IRfan's ROom: Looking for hotel abroad? Which one is best? Agoda, Booking.com, TripAdvisor or Airbnb? Looking for hotel abroad? Which one is best? Agoda, Booking.com, TripAdvisor or Airbnb? Traveling abroad is always confused with the problem of where to live there later. Every traveler always wants to search hotel / hostel that is suitable with their budget. As a way to simplify travelers get what they want, now there are 4 popular online hotel booking providers such as Agoda, Booking.com, TripAdvisor and Airbnb. Which one is best? This question is difficult to be answered because we will know which one is best if we have already used their services to book hotels. To help every traveler choose online hotel booking providers that is suitable with their wants. Below some reviews about each providers that I can share. Agoda (www.agoda.com) is one of the fastest-growing online hotel platforms worldwide, listing hundreds of thousands of hotels and providing services in 38 different languages. Agoda Company Pte. Ltd., the company behind Agoda.com, was established in 2005 by two veterans of the online travel business and in 2007 was acquired by Priceline Group, the largest seller of rooms online. Priceline Group is publicly traded on NASDAQ (Nasdaq: PCLN) and is a part of the S&P 500. 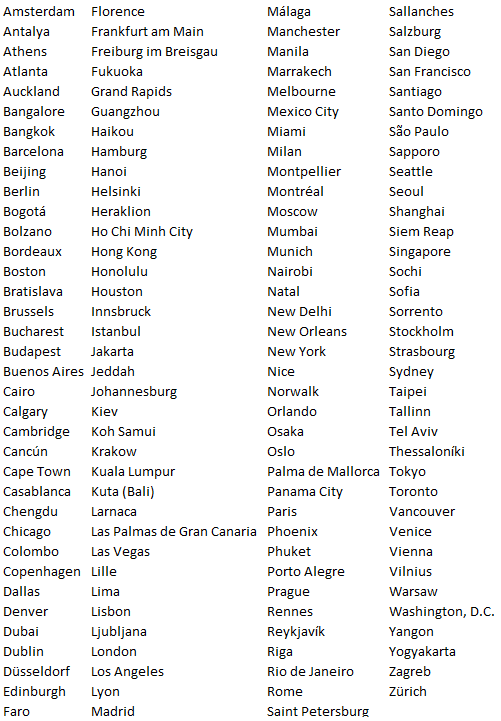 Agoda.com employs more than 1,300 travel professionals, representing more than 20 countries. 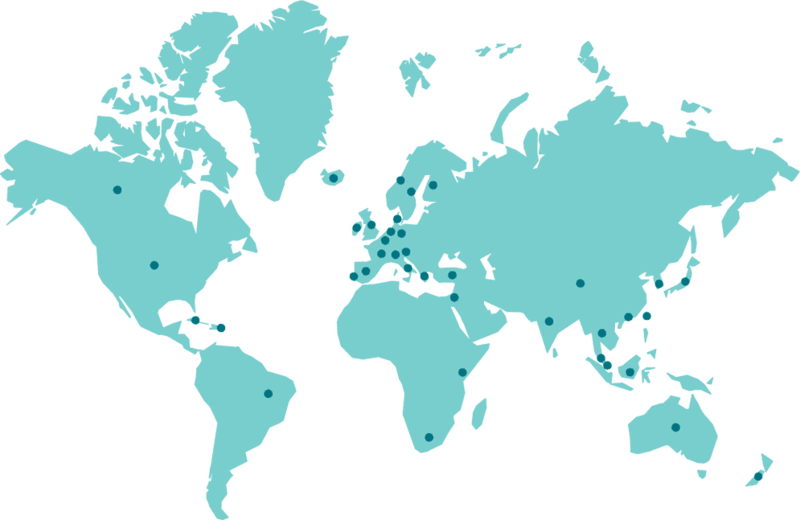 There are major operations in Singapore, Bangkok, Kuala Lumpur, Tokyo, Sydney, Hong Kong, and Budapest, with an additional presence in major cities across Asia, Africa, the Middle East, Europe, and the Americas. Dedicated market managers maintain close relationships with Agoda.com hotel partners around the globe, creating special promotions and marketing programs to help Agoda.com offer some of the best deals on the Internet. This competitive edge is backed up by a best-price guarantee. Agoda.com's award-winning website is fast, easy to use, and employs world-class technology to offer instant confirmation for every one of our hundreds of thousands of listed hotels. In addition to a wide selection of accommodation and room types, the millions of Agoda.com hotel reviews are 100 per cent authentic, submitted by customers after they have completed their hotel stay. Finally, our 24/7 multi-lingual customer service & support means assistance is quick at hand when it really counts. At Agoda.com, we take pride in being accountable, reachable and connected. We offer customers the widest set of hotel options and always strive to offer the most competitive price. By doing this, we hope to make travel more affordable, accessible, and enjoyable to customers around the world. AGODA ® is a registered trademark of AGIP LLC, used under license by Agoda Company Pte. Ltd.
Booking.com B.V., part of the Priceline Group (Nasdaq: PCLN), owns and operates Booking.com™, the world leader in booking accommodations online. Each day, over 900,000 room nights are reserved on Booking.com. The Booking.com website and apps attract visitors from both the leisure and business sectors worldwide. Established in 1996, Booking.com B.V. guarantees the best prices for any type of property, from small, family-run bed and breakfasts to executive apartments and five-star luxury suites. Independent accommodations are also specifically a focus of Villas.com, a sister site recently launched by Booking.com. Truly international, Booking.com is available in more than 40 languages, and offers 805,126 active properties in 221 countries and territories. Booking.com B.V. is registered with the trade register of the Chamber of Commerce in Amsterdam, the Netherlands, under registration number 31047344. VAT tax registration number is NL805734958B01. Registration number with Dutch Data Protection Authority is 1288246. TripAdvisor® is the world's largest travel site*, enabling travelers to plan and book the perfect trip. TripAdvisor offers advice from millions of travelers and a wide variety of travel choices and planning features with seamless links to booking tools that check hundreds of websites to find the best hotel prices. TripAdvisor branded sites make up the largest travel community in the world, reaching 375 million unique monthly visitors**, and more than 250 million reviews and opinions covering more than 5.2 million accommodations, restaurants and attractions. The sites operate in 45 countries worldwide. We can get how popular of these providers through Google Trends that captures how many people search each of these providers from Google Search Engine. The data below show that TripAdvisor is the most popular in the world. But this does not explain that this provider is the best in the world. We must check more detail what region of travelers that make each of these providers are popular. TripAdvisor is popular on Turks and Caicos Islands, Jersey, Guernsey, Isle of Man, Italy, United Kingdom, Ireland, Aruba, Cayman Islands, and Gibraltar. Airbnb is popular on France, Singapore, Iceland, Australia, Italy, Ireland, Croatia, Switzerland, Guadeloupe, and Spain. Booking.com is popular on Gibraltar, Ireland, Malta, Isle of Man, Jersey, United Arab Emirates, Cyprus, Luxembourg, Belgium, and Bahrain. Agoda is popular on Singapore, Macau, Malaysia, Brunei, Hong Kong, Thailand, Maldives, Laos, Cambodia, and Indonesia. 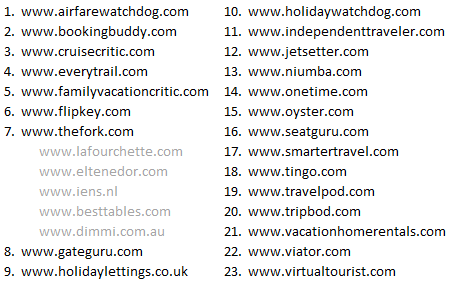 After knowing which region that make these providers become popular, I suggest you to choose the provider that your country is in the same region with one of region lists above because this online booking provider has a review score and I'm sure that traveler who has given score for this provider is the same style with you. So you should be taking your time to read the review score.